The OFM Big & Tall Series chairs fit the needs of nearly every office, task area, lobby, and classroom environment. The task chairs were designed for 24-hour, multi-shift use. 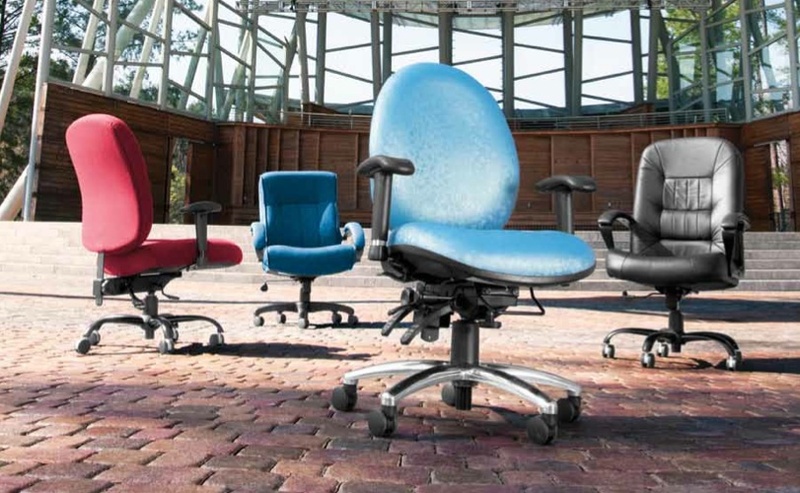 They offer the most ergonomic adjustments of any of the task chairs we offer. Many of our executive office chairs have a weight capacity of 400 lbs. All of these executive office, task, reception, guest, and stack chairs meet or exceed the ANSI / BIFMA standards. Shown here in fabric, leather and patterns from the Elements In-Stock Textile Upgrade Program.